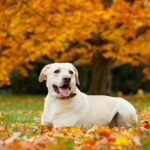 Lyme Disease: Is Your Dog At Risk? Fall is the season for football, pumpkin spice lattes, sweaters, boots and ticks. Yes, ticks! Iowa provides two ideal situations for ticks: cool weather and a high deer population. Have you ever found a tick on your pet? On yourself or a member of your household? Does your dog live in a suburban home next to wildlife areas? Is your dog’s yard surrounded by tall brush or grass? Does your dog go walking, hiking, picnicking, fishing or camping in wooded areas? Does your dog frequent areas with lots of deer? If you answered yes to any of these questions, talk to your veterinarian about Lyme disease. You can also check out this prevalence map to see what tick-borne diseases you should be concerned about in your area. The deer tick is very hard to spot on dogs. Lyme disease in dogs is largely preventable by using a tick preventive and an annual Lyme vaccine.